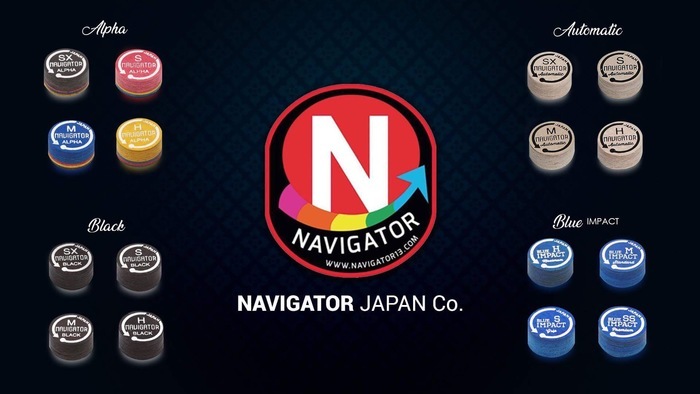 Navigator tip are treated with our original liquid on every layer to achive longer bite on cue ball. 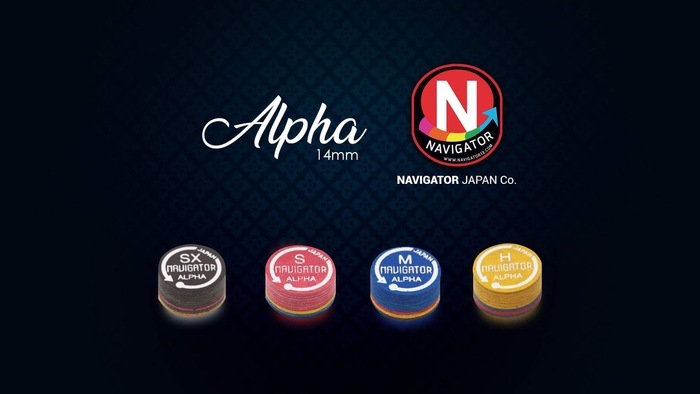 ALPHA tips have different density layers on the bottom and these layers behave like bumper, reducing pressure on the tip and protecting ferule, because of that they don’t mushroom so much and they play always the same. Also, after final production we put them under pressure in press for 3min, that makes effect like you have been playing with the tip for about 20 hours, this is also the reason why initial mushrooming will be avoid. 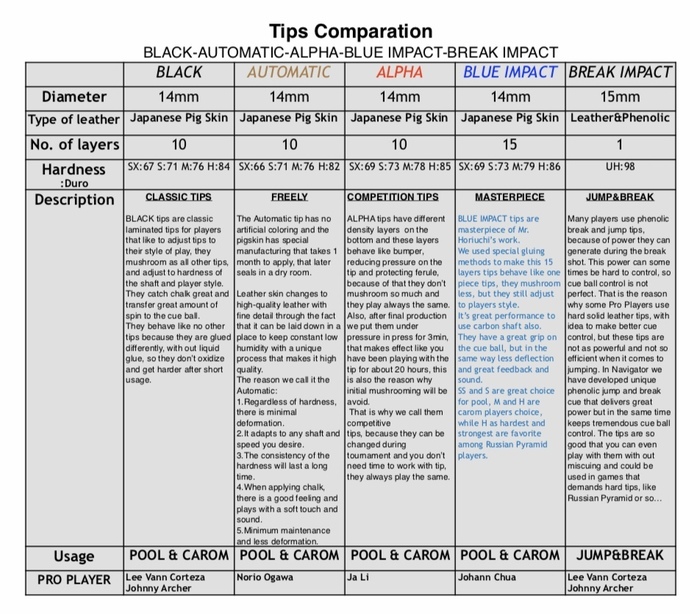 tips, because they can be changed during tournament and you don’t need time to work with tip, they always play the same. 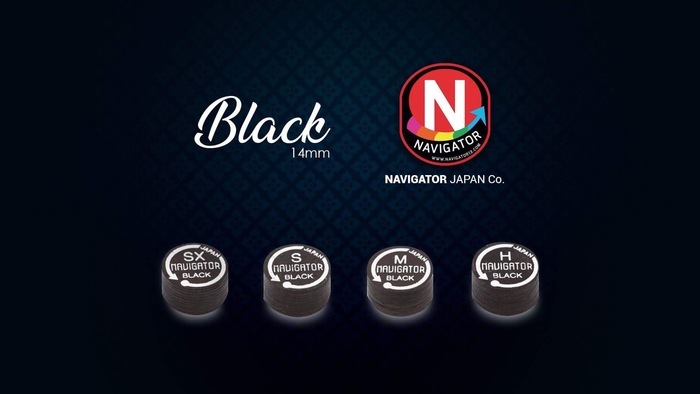 BLACK tips are classic laminated tips for players that like to adjust tips to their style of play, they mushroom as all other tips, and adjust to hardness of the shaft and player style. They catch chalk great and transfer great amount of spin to the cue ball. They behave like no other tips because they are glued differently, with out liquid glue, so they don’t oxidize and get harder after short usage. 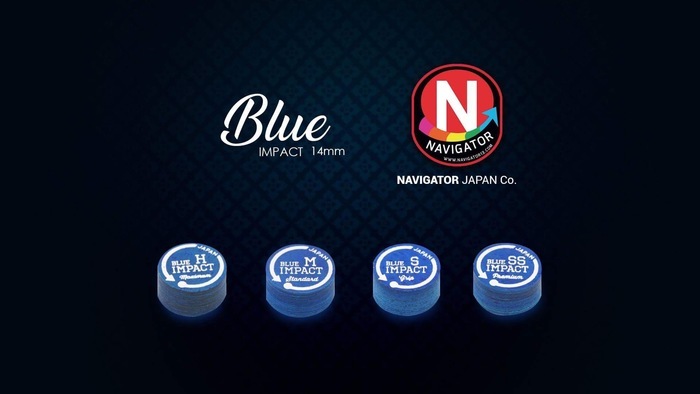 BLUE IMPACT tips are masterpiece of Mr. Horiuchi’s work. We used special gluing methods to make this 15 layers tips behave like one piece tips, they mushroom less, but they still adjust to players style. It’s great performance to use carbon shaft also. They have a great grip on the cue ball, but in the same way less deflection and great feedback and sound. 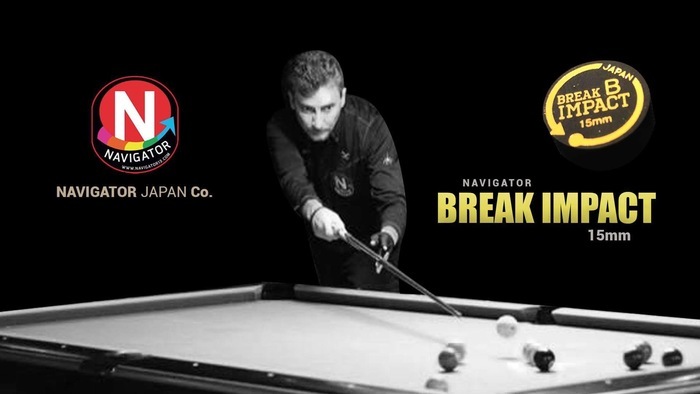 SS and S are great choice for pool, M and H are carom players choice, while H as hardest and strongest are favorite among Russian Pyramid players. 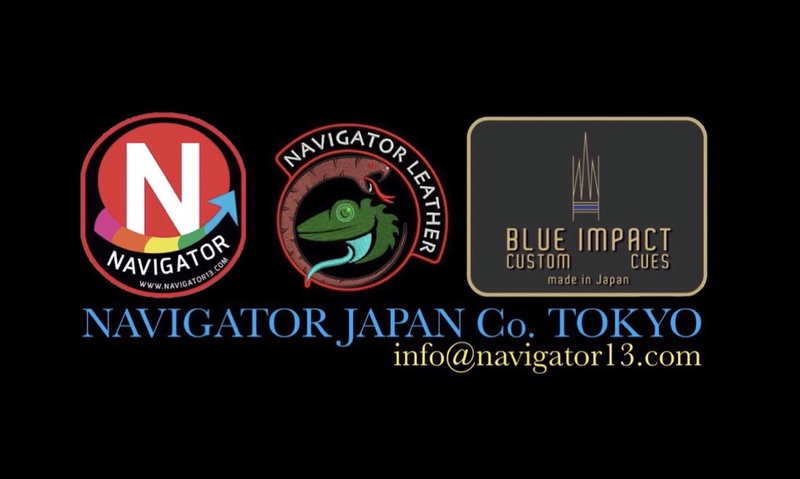 The Automatic tip has no artificial coloring/special color and the skin/leather has special manufacturing method that takes 1 month to apply it and dry in delicate environment conditioned room. 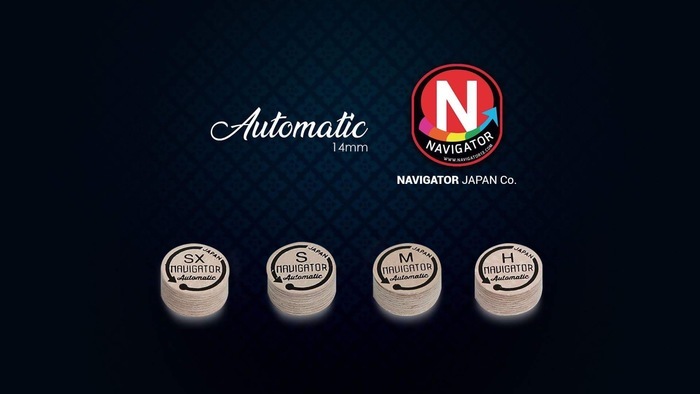 Our Navigator Automatic cue tip uses high-performance leather with fine detail through the fact that it can sustains the necessary moisture/humidity regardless of environment by our unique proccessing makes it high quality. 1.There is very little or no deformation regardless of hardness. 2.Adaptor to any shaft and seasoned on shortest time. 3.Hardness remains for long after familiarity to cue take place. 4.Comfortable Chalk surface with natural mild hit and sound. 5. Easy maintenance due to minimum deformation.